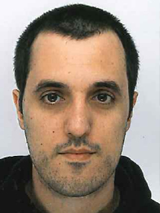 Ernesto builds agent-based models: computer simulations of social systems. These computational models can be used to test the effects of policies and changes in behaviour in a flexible but systematic fashion. Ernesto's current research focuses on building an agent-based model of California's demersal fisheries, with an eye to improve stock management and long-term profitability. Fisheries are often the epitome of the tragedy of the commons and their management is often haphazard and contradictory. In particular it is often the case that the implementation of one policy results in fishers adapting to it and either circumventing it entirely or producing unwanted side-effects. Our model can predict these adaptations and use this knowledge to propose "optimal" policies. Before this Ernesto worked on zero-knowledge traders: small PID based agents that are plug-and-play components for most economic agent-based models. Bailey, R.M., Carrella, E., Axtell, R., Burgess, M.G., Cabral, R.B., Drexler, M., Dorsett, C., Madsen, J.K., Merkl, A. and Saul, S. (2018) A computational approach to managing coupled human–environmental systems: the POSEIDON model of ocean fisheries. Sustainability Science. Carrella, E., Bailey, R.M. and Madsen, J.K. (2018) Indirect inference through prediction..
Carrella, E. (2015) Modeling Adaptive Economic Agents With PID Controllers. Krasnow Institute for Advanced Study Mason Publishing Group, George Mason University.